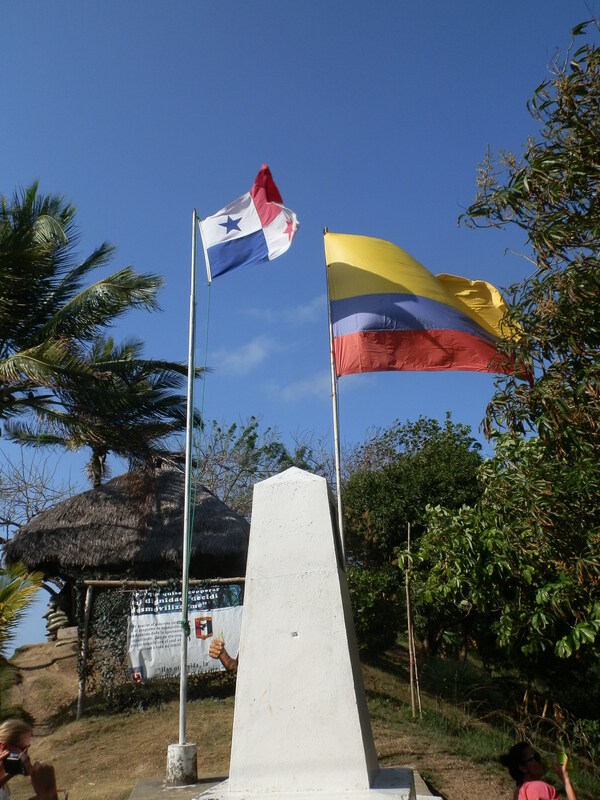 Although North and South America are connected by land there is currently no road that spans between the two. 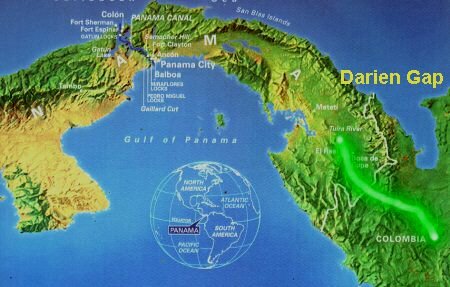 The border of Colombia and Panama is known as the Darien Gap and it contains one of the densest jungles in the world. Not only does this natural mountainous jungle create an extremely difficult land crossing, but the region is prevalent with cocaine production and the groups partaking in the creation of partygoer’s nasal powder are known to eliminate anyone who stumbles upon their illegal activities. So aside from the few crazy souls willing to subject themselves to considerable danger by hiking the notoriously treacherous Darien Gap, a boat or a plane is the only option to cross the continents. Now in my opinion, flying in an airplane is one of the coolest things our species has ever invented. To be able to get in a metal tube with wings, drink a few beers, watch a movie then land in a completely different country halfway across the world is an absolutely miraculous phenomenon. That being said, I also sincerely appreciate overland or overwater travel and to be honest I think it is a more enriching experience. When you simply take off from your capital city and land in another you miss everything in between. These aren’t places you probably would choose to see or make an effort to get to once you are in a country, so the only way to experience them is to cross the border on land. For this reason I decided to cross the Darien Gap in a boat. Now most boats take about 3-4 days and the options are to either sail or take a speedboat. Having already spent 3 weeks on a sailboat before I decided to try something new and spend four days island-hopping my way to South America. 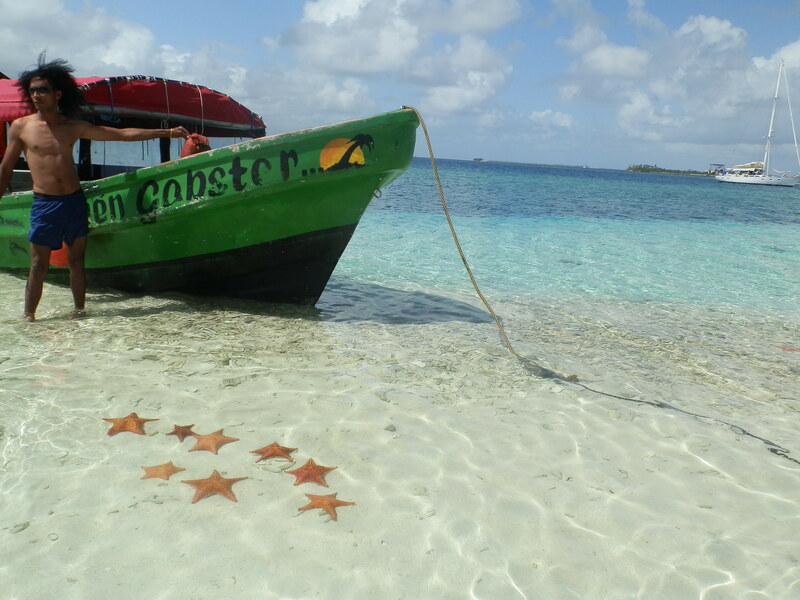 The boat was appropriately named the Darien Gapster and we spent three nights and four days cruising through the surreal San Blas Islands going from Panama to Colombia. These islands are nothing short of spectacular with white sand, crystal blue waters and some of them being so small you can literally walk the entire circumference of the island in 5 minutes. They are owned by the Kuna Indians and the only buildings you will see if any will be bamboo huts with sand floors and hammocks. The Kunas are a simple bunch who spend most of their time fishing and climbing palm trees for coconuts, which they have used as currency since they inhabited the islands. 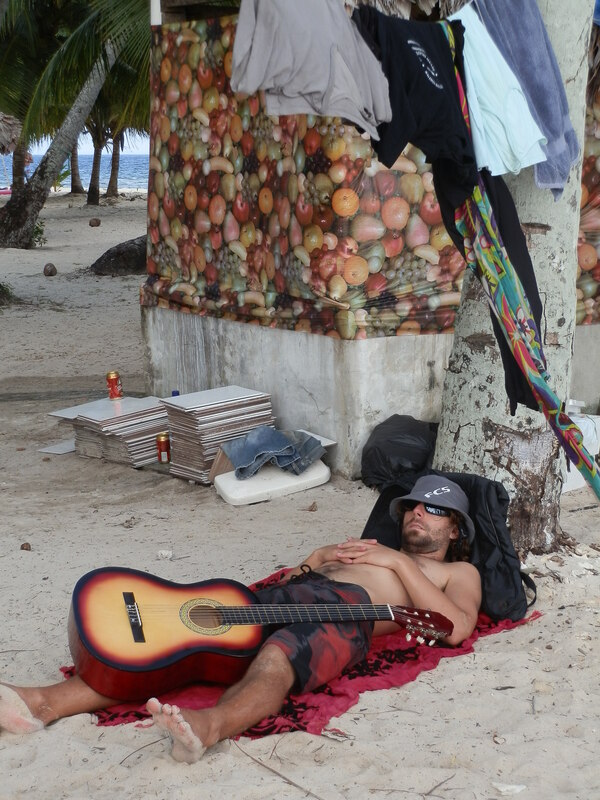 Armed with hammocks, rum, snorkels and the mentality to chill we spent our nights on deserted islands or mingling amongst the Kuna. Our time on the islands was fantastic, chilling with a small extremely diverse group of travelers sharing stories, rum and just being overwhelmed by the beauty of the area. Combining rum with coconut water is one of the greater drinks around, but deceptively easy to drink and lead to the only serious negative aspect of the journey. Playing “Never Have I Ever” until the wee hours of the morning and waking up reeking of rum and with a rotten stomach of a hangover DOES NOT go well with extended, bumpy speed boat travel. One of the roughest parts of the Caribbean is between Panama and Colombia with surprisingly large swells almost all the time.On a small over-loaded speed boat, the rollercoaster size bumps for hours on end made me have to seriously concentrate so I wouldn’t paint the Swiss guy sitting next to me with a rum and coconut upchuck mixture. Finally the trip ended in La Miel, Panama where we quite literally just walked up a mountain and across the border to Colombia. Surprisingly it was THE most relaxed border crossing I’ve ever experienced in my life, as some of the group didn’t have shoes, shirts or even pants when crossing over to South America. This entry was posted in Colombia and tagged Adventure, Central to South America Boat, Colombia, Darien Gap, Darien Gap Sailing, Darien Gapster, Panama, Panama to Colombia Boat, Travel by verenico. Bookmark the permalink.